Revisited Achaval Ferrer in February this year. It has been more than five years since our first visit, making it obvious to do a retrospective. 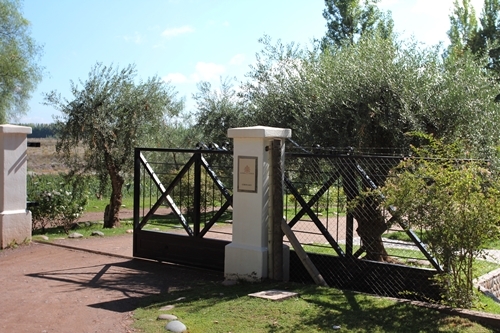 The combination of producing perhaps Argentina’s greatest single vineyard Malbecs, having breath-taking views in close proximity to Mendoza, and such a genuine team makes Achaval Ferrer a must visit! Be sure to know your way and to have a reservation before heading off. We booked a driver to take us around in 2009. Not necessary yet recommend downloading our apps, as they include GPS coordinates for the wineries. Definitely a helping hand when on the dirt roads off Access Sur, which had many pot-holes due to the heavy rain in February of 2014. 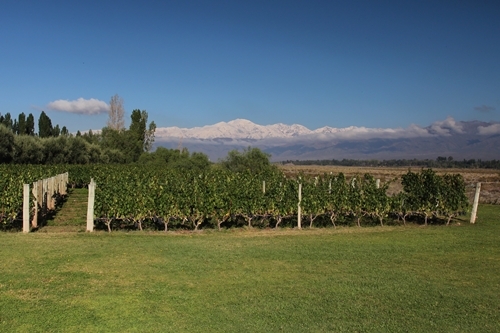 Their position next to the River (Río Mendoza) gives the property spectacular views of the Andes and their snow-covered mountains. 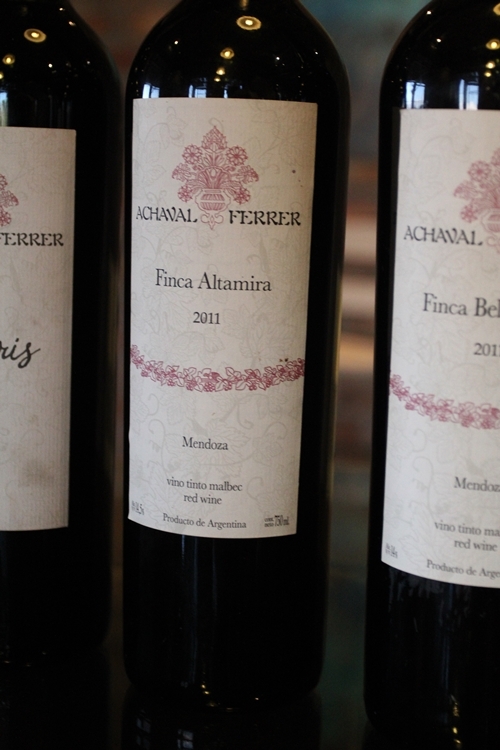 Achaval Ferrer was founded by 4 friends in 1998. An accountant and a lawyer from Buenos Aires; Santiago Achaval and Manuel Ferrer along with their two friends: Marcelo Victoria and Diego Rosso. Moreover are the two Italian winemakers: Tiziano Siviero and Roberto Cipresso, also an important part of Achaval Ferrer. Cipresso is a praised enologist and has remained their winemaker throughout. 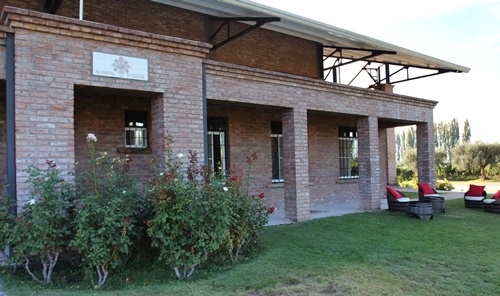 The winery in Perdriel (here captured) was constructed in 2006. Here one of the two outdoor seating areas. The vineyards looked much different in 2009, also because of a period with intense rain in 2014. Vineyard is here captured in 2014, where it had a rich carpet of cover-crops. 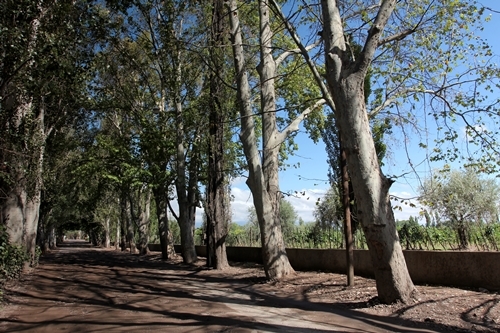 Achaval Ferrer is known to make their wines of some of the oldest vines in the Mendoza Province, and have unique sites spread across different terroirs and altitudes. Here the terrace that is found next to the visitor entrance. The mirror fitted door emphasises the significance of the stunning views for the partners. 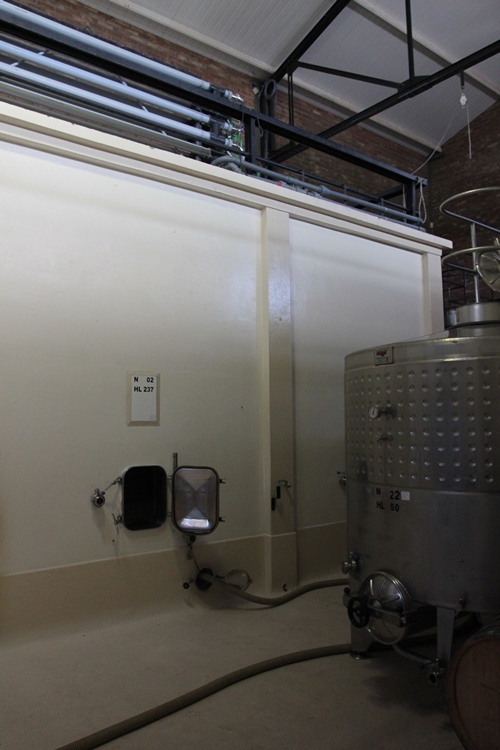 Use tanks of both concrete and steel at Achaval Ferrer. The owners’ background in the concrete industry has perhaps initially inspired Roberto Cipresso to use tanks of concrete. 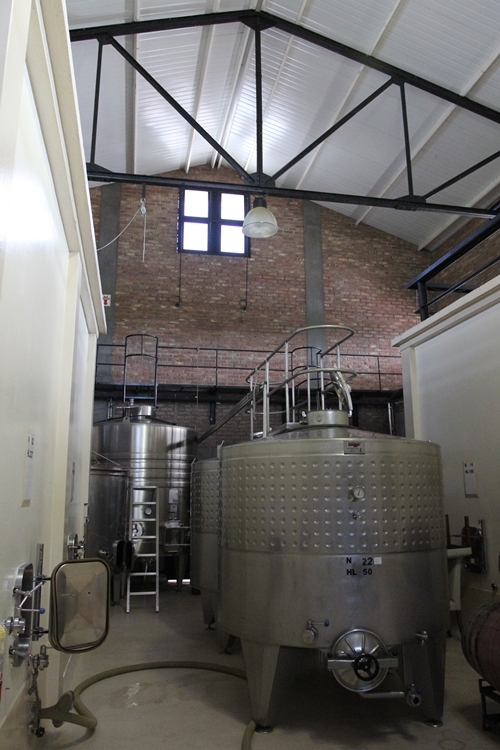 Concrete is though today favoured by a growing portion of the world’s greatest winemakers, as concrete has better heat retention compared to steel, which can be advantageous in the maceration process during the fermentation. 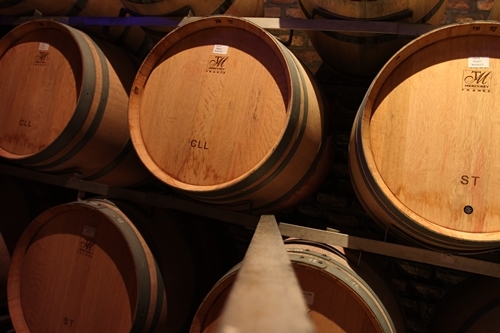 The French oak barrels play a significant role in the winemaking at Achaval Ferrer. Cipresso has experimented with a variation of toasts and sizes, to find barrels that emphasize the characteristics of the different single vineyard Malbecs. The small 180 litre barrels are custom-made and are as far as known the only ones in the world. Here we see examples of two different toasts on barrels from the Mercurey cooperage. CLL translates “Chauffe Light Long”, and is a quite light toast. 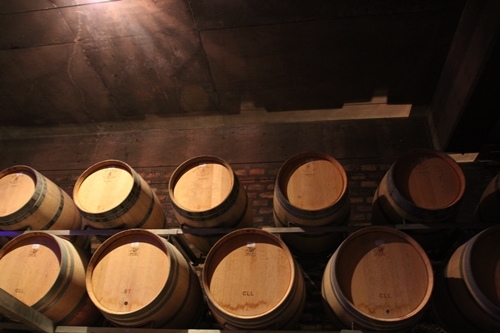 The barrel is normally used to age white wines in Bourgogne, and it has a minimal impact on the wine. ST translates “Special Toast”, and it is a relatively long toast that adds elegance, length, and minerality to the wine. 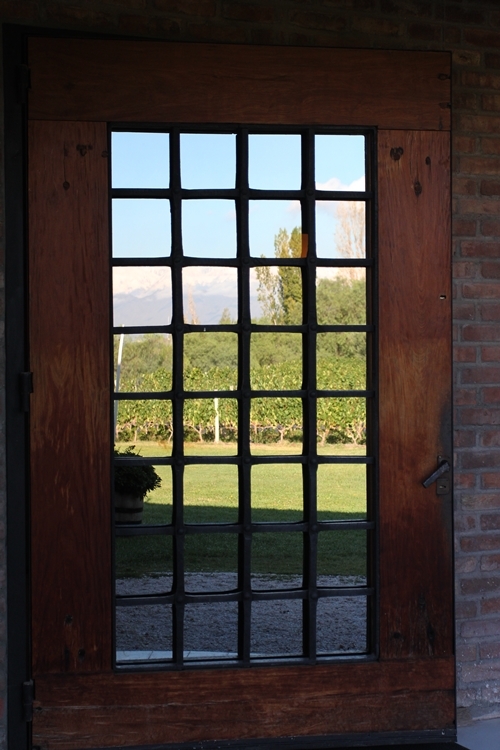 The wood does not affect the wines’ fruity and floral notes, which makes it perfect for the high altitude Malbecs of Mendoza. 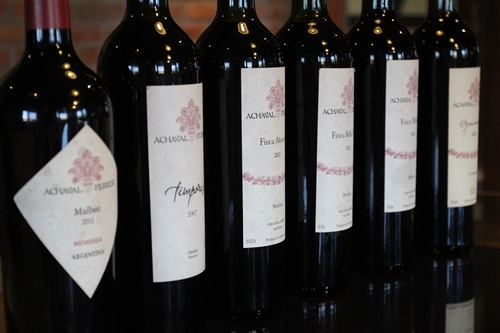 The tasting and tour at Achaval Ferrer is unique in the way that the founders: Santiago Achaval and Manuel Ferrer also host their visitors from time to time. Moreover are the icons often included in the tasting (sometimes even straight from the barrel). Here the main portfolio is captured. 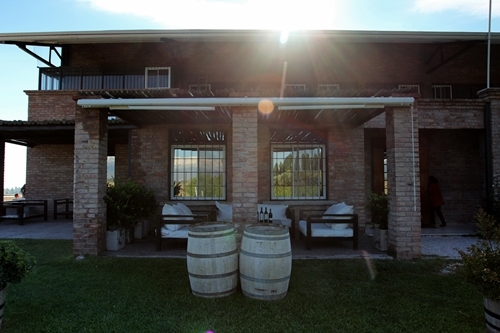 They also produce a few limited releases that are only available through their Cellar Door, and the delicious sweet wine called “Dolce” on dried Malbec grapes, which is usually served at the end of a tasting. Where Roberto Cipresso team used a lot of heavy toasted barrels just five years ago, the newer releases are usually aged in more subtle toasts, which makes them more food friendly. 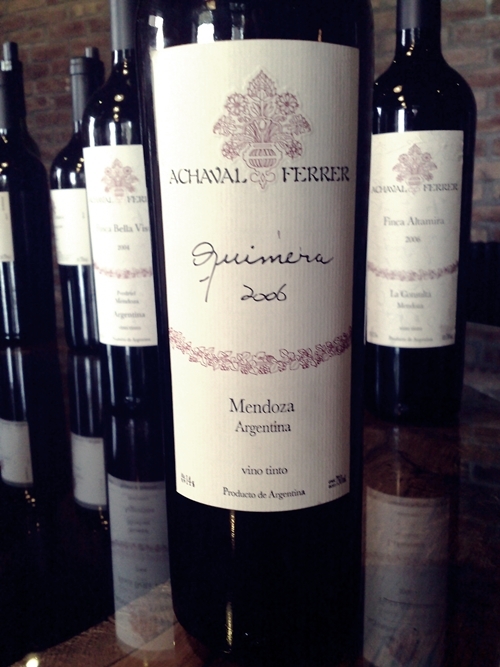 “Quimera” is their elegant Bordeaux blend of now five varieties including Malbec and the classic four (Merlot, Cabernet Sauvignon, Cabernet Franc and Petit Verdot). The 2006 did though not include Petit Verdot. The yields are set to just 18 hectoliters per hectare in these vineyards, and it is unfined and unfiltered as the rest of their wines. A brilliant wine at its price! the “Finca Altamira”-from vines exceeding 80 years in La Consulta at altitudes averaging 1050mts. The yields are very low in these vineyards, with less than one pound of grapes per plant, equal to approximately 12-14 hectoliters per hectare. The single vineyard Icons are not only exceptional Malbecs, they are also a study on how the vines work with altitude. 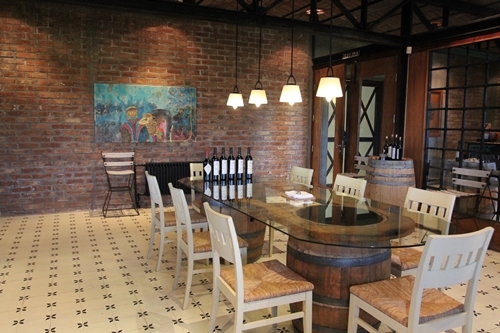 The wines are pure in their expression and have a very clean palate. Of the three icons I find the Finca Altamira to be the most original. It is incredibly dense and mineral, and it has a very perfumed nose with thrilling floral notes of violets and Asian spice. It is the youngest of the three vineyards, but perhaps the most stressed due to the tough desert-like climate and high altitudes of La Consulta in the southern end of the Uco Valley. 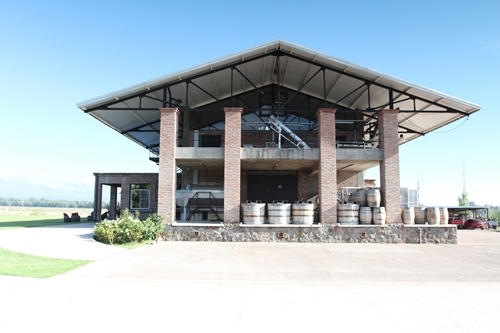 The “Finca Bella Vista” is from their old single vineyard in the Perdriel district of Lujan de Cuyo, Mendoza. 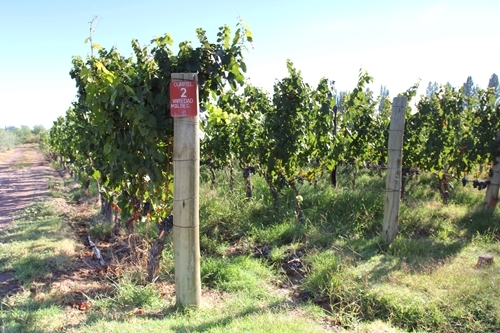 The vineyard expresses a less aromatic Malbec compared to the other two, and its nose goes more towards sweet dark fruit. The wine has though a richness which is incomparable. Lost most of the 2006 vintage to hail, which was why we sampled the 2004. Hail is a threat all across the Mendoza Province and not only in the southern part and Patagonia. 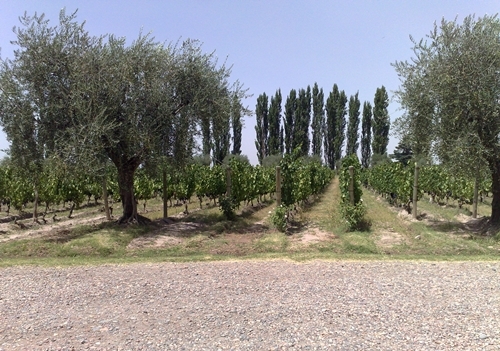 “Finca Mirador” is the smallest of the vineyards. It sits on the western banks of the Tunuyan River in Medrano, Mendoza. It has more earthy notes compared to the others, which blends well with its aromatic floral nose. 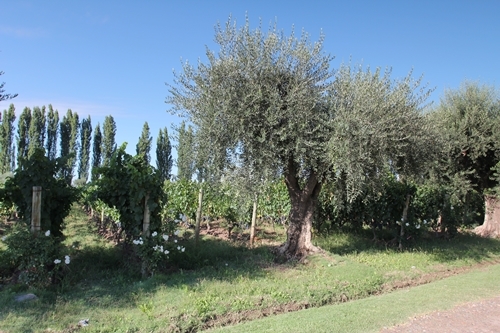 In addition to their great wines, they also produce olive oil of the old olive trees found next to the winery.